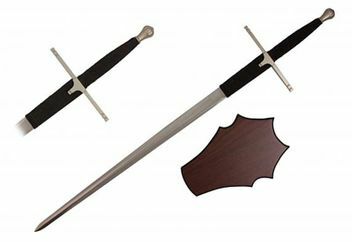 The Medieval Sword comes with a wall support made of wood. The handle and the upper part of the blade are covered with leather. It is the sword from William Wallace of the movie braveheart.